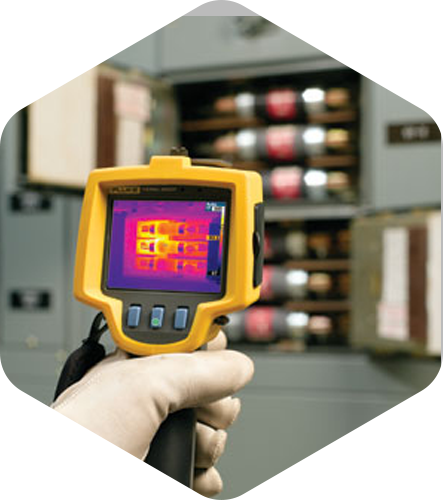 We specialises in providing accurate thermography scans of electrical & associated equipment. Providing high levels of competence, professionalism, and safety through all aspects of our work. All inspections are backed up with advanced capabilities to further investigate electrical problems detected with thermal imaging, providing the best basis for decision making. Thermal imaging works by detecting the heat generated through the measurement of the infrared electromagnetic radiation to produce a visible image of that radiation. These images are called thermograms. The amount of infrared radiation emitted by an object increases with temperature, therefore, thermal imaging allows us to see variations in temperature. 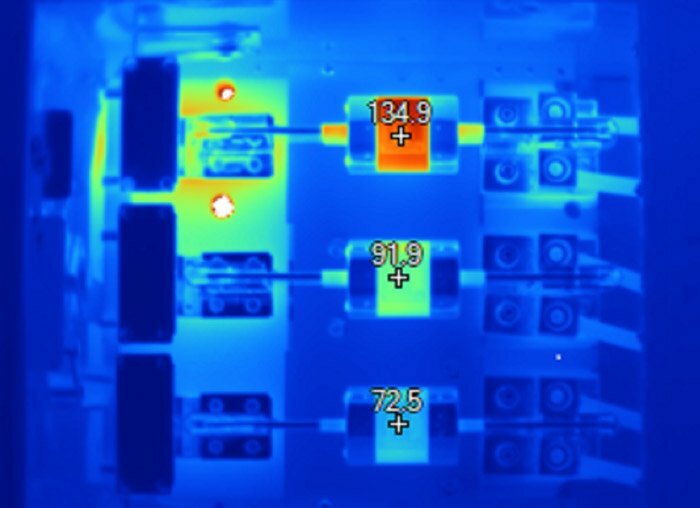 The thermal imaging process begins by taking a thermal snapshot of the equipment, followed by the analysis of the temperature variations. As Objects have different abilities to emit inferred energy the analysis of the image taking into account the variable factors is the most crucial part. The analysis is then followed by a formal reporting process to provide you with a easy to understand report allowing you to make an informed decision. Thermal imaging inspection of main switchrooms, switchboards, distribution boards and sub-boards. For early fault detection and risk assessment. Often used in conjunction with a visual inspection to AS 3019. Requirement for risk assessment for insurance. Regular inspections for the early detection of faults. 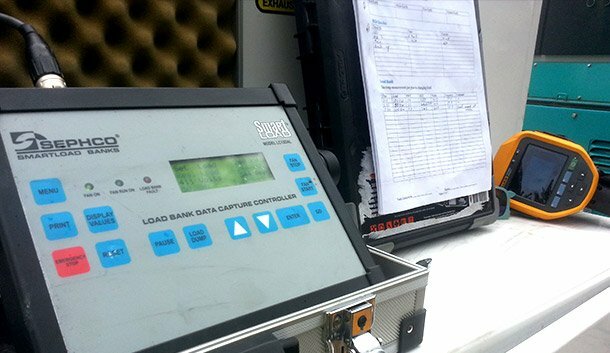 Used in conjunction with other testing to ensure the correct operation of backup power systems. More Info. Protecting people is of the upmost importance in the workplace. Thermal imaging reduces the risk of incidents and allows for preventative measure to be implemented in order to reduce workplace risk. Equipment failures during production runs can be a costly and dangerous situation. 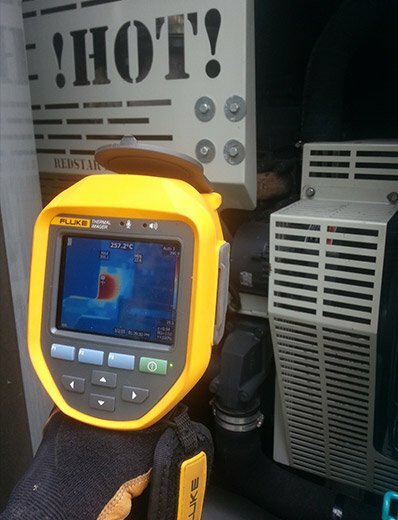 By locating potential problems during infrared inspections and performing repairs, loss of production may be reduced and sometimes totally eliminated.